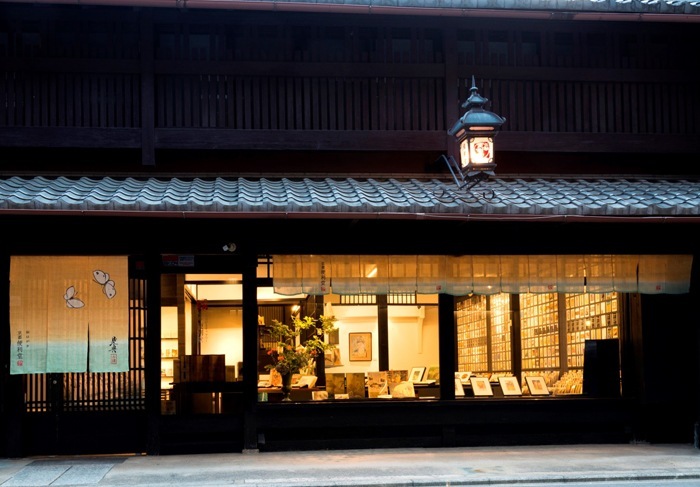 Founded in1887 in Kyoto, Benrido has been contributing to inheritance of Japanese culture through the photo shooting, making prints and publications of cultural properties. Art work motif postcards are the products we have been making since 1902. Even though it’s just a piece of post card, we are always keen to reproduce original colors and to put the charms of an original work in it as much as possible. At our stores, you find, besides postcards, varieties of products including folding fans, standing screens and scrolls which are great as souvenirs of Japan, and also Benrido original collotype prints of works of contemporary photographers. 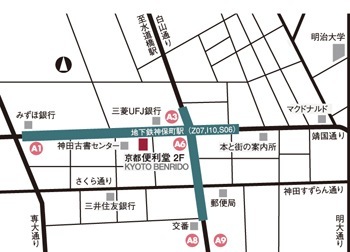 Walking along Sanjo Street to the west from Kawaramachi in down town Kyoto, feeling that hustle and bustle gradually gets less, and then you reach Tominokoji Street. Walk a little more to North from there. 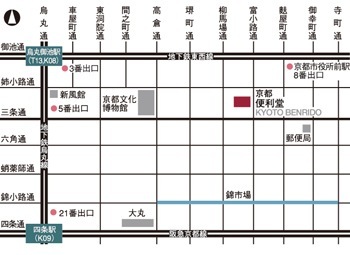 On the left, you see a traditional townhouse “Machiya” with a short split curtain “Noren”. That’s our shop. We always display more than one thousand kinds of postcards all over the wall. 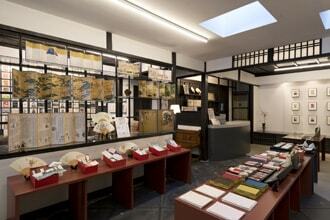 All kinds of books from all over the world gather in Jinbocho. 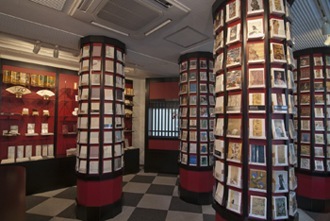 Art postcard gallery Jinbocho store is in the second floor of Iwanami Book center near Iwanami hall where cinema fans’ favorite place to visit. Enjoy our location that even connoisseurs find it impressive and, of course, our store manager’s fine selection of postcards. Copyright (c)Kyoto Benrido All Rights Reserved.